Unwind with this sparkling twist on a tart summer favorite. In a large pitcher, combine water, lemon juice, and sugar. Stir until sugar dissolves. Cover and refrigerate until chilled. Just before serving, gradually add club soda down edge of pitcher, stir to mix. Pour over ice, and garnish with lemon slices and mint. Enjoy! You must be 21 years or older to continue. 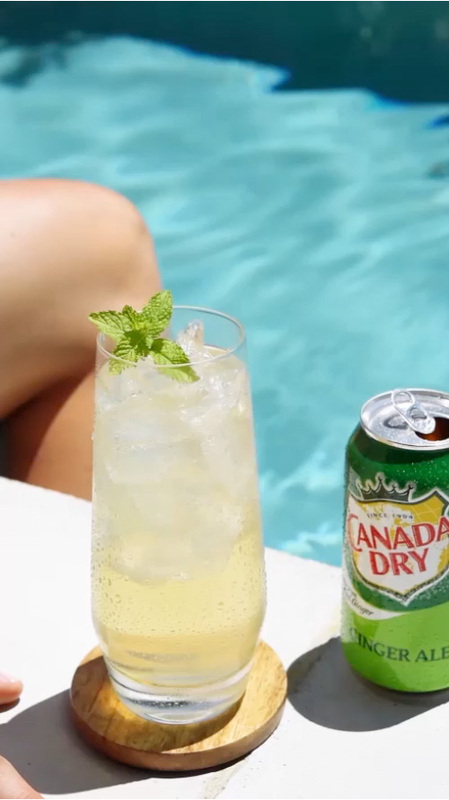 No, Canada Dry® Ginger Ale isn’t an alcoholic beverage. But we’re a great mixer for some of your favorite – or soon to be favorite – cocktails, as well as nonalcoholic recipes. CANADA DRY, CANADA DRY TEN, AND THE SHIELD DESIGN are registered trademarks of Dr Pepper/Seven Up, Inc. © Dr Pepper/Seven Up, Inc.